Ever since we tried matcha we have had a slight obsession with anything matcha-related. 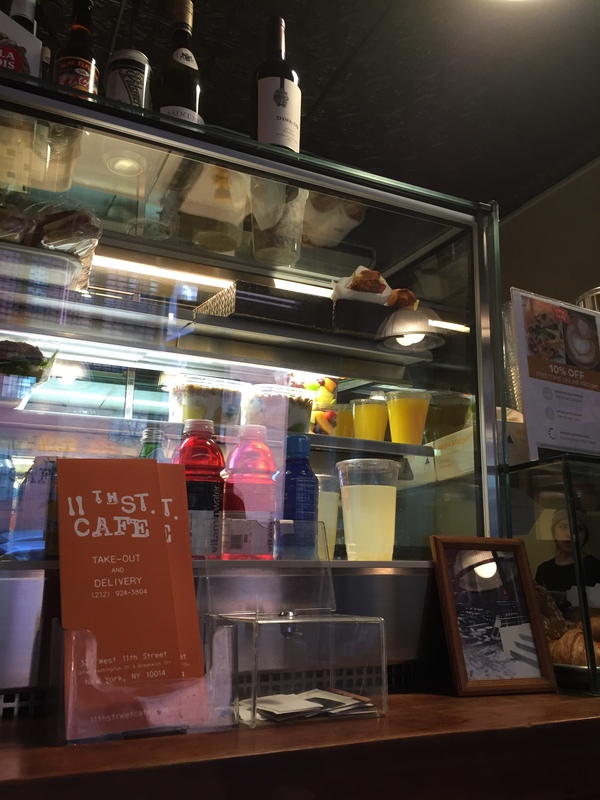 So when we saw that Chalait was doing a matcha hot chocolate, we were there! 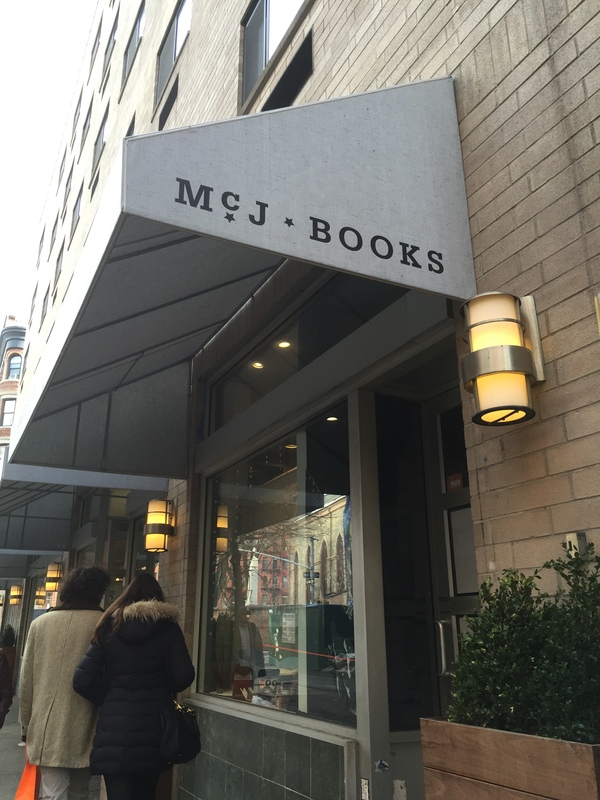 They have a new location at 1216 Broadway which is a typical NYC “hole in the wall” size. It’s probably a little better for take away, but they do have five barstool seats situated at a floating table surface against the wall. We did have to wait a while on the steps to the rest of the building, which is why we have these concrete step photos, haha! If you haven’t already noticed from our blog content, we frequent NYC food markets. Tara and I were actually just talking the other day, and came to the realization that we have been to every single one of them. Every. One. No joke! So when I heard that Bowery Market opened up this summer, we were there right away. We checked it out for the first time in August and snagged a few pics to give you guys a preview of how cool their vibes are. After sitting inside all day working it’s always great to find an outdoor oasis to relax and have a cool drink in the city. Of course, there are all the great rooftop bars in NYC, but sometimes you may want a change from your go-to happy hour spot. 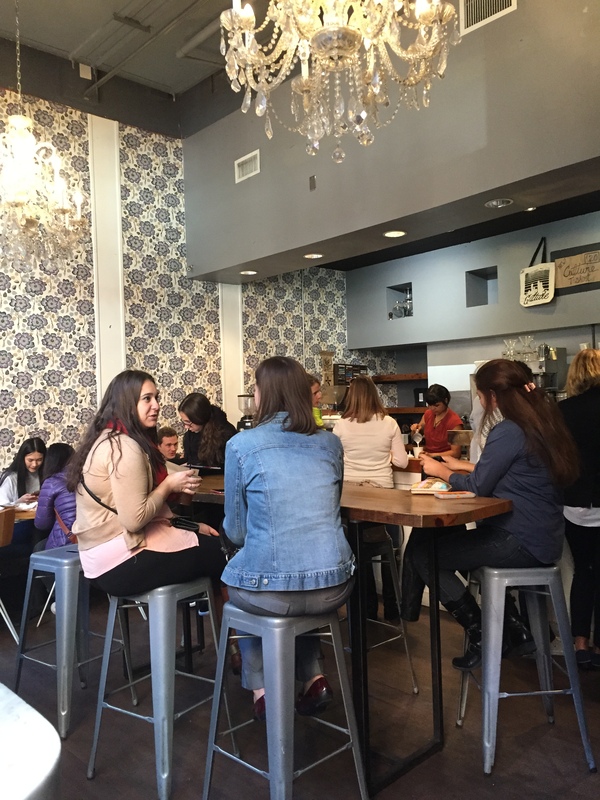 If you’re a latte or greek yogurt lover, Greecologies may be your new summer hangout. We’ve been on a matcha/green tea kick lately so when we heard of the Jasmine Green Tea Chiffon Doughtnut at BESFREN we had to try it. BESFREN is located on 5th Ave. in Koreatown right by the Empire State Building. It is a cute space with all their fabulous desserts on display, housing about five small tables. If you haven’t been to BESFREN before it may be safer to look for the Cafe & Ginseng sign since the company, Korean Red Ginseng, renovated their location to collaborate with BESFREN just last year. In fact, the other side of the cafe still sells red ginseng extracts and powders. Once you see Cafe & Ginseng you know you’re in the right place and you’ll soon see BESFREN’s rabbit logo. 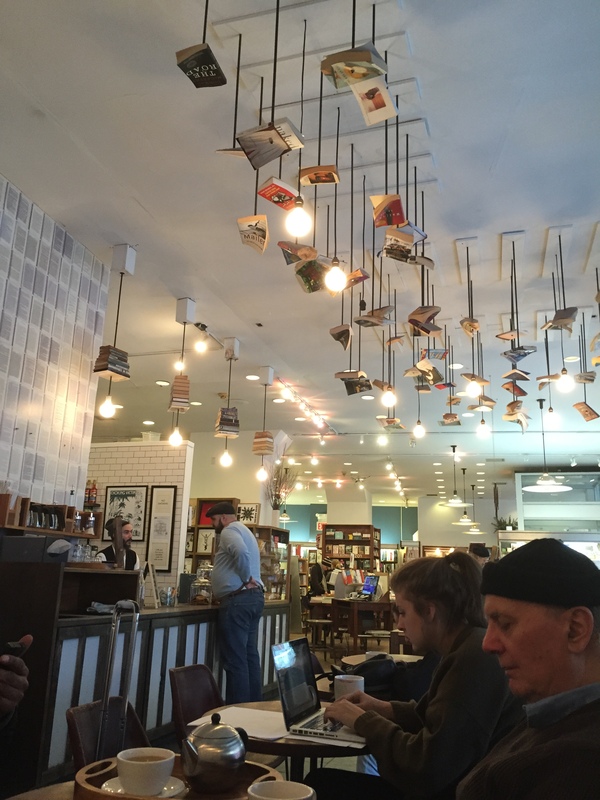 As our long time readers know, Cailin and I love finding new NYC cafes to work in. It can be a tough task since seating is usually scarce and hogging a spot for an extended time isn’t the most courteous thing to do. 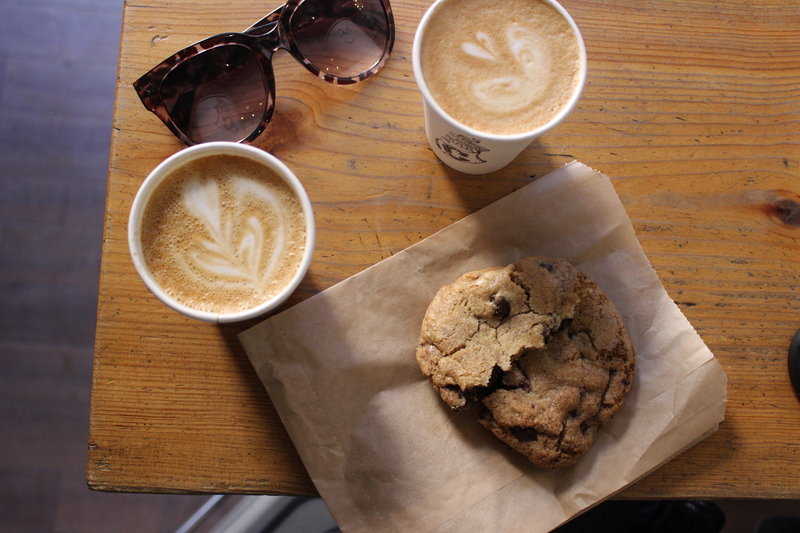 Another hurdle is finding cute independent coffee shops in walkable distance from Midtown West. So when we found Culture Espresso we were super happy! 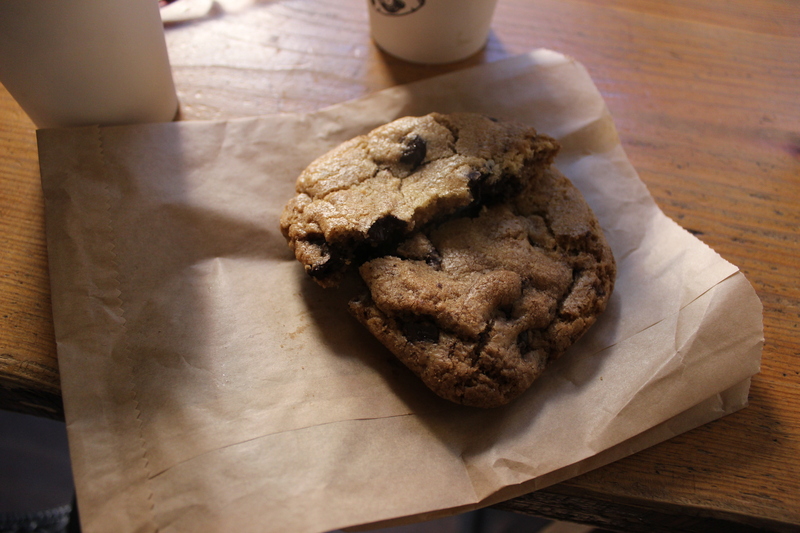 We went to their original location at 72 West 38th St., but they have a second location called Culture 36 on… you guessed it 36th St. between 7th and 8th Ave.
We both got flat whites and shared one of their famous chocolate chip cookies. Both were really delicious. 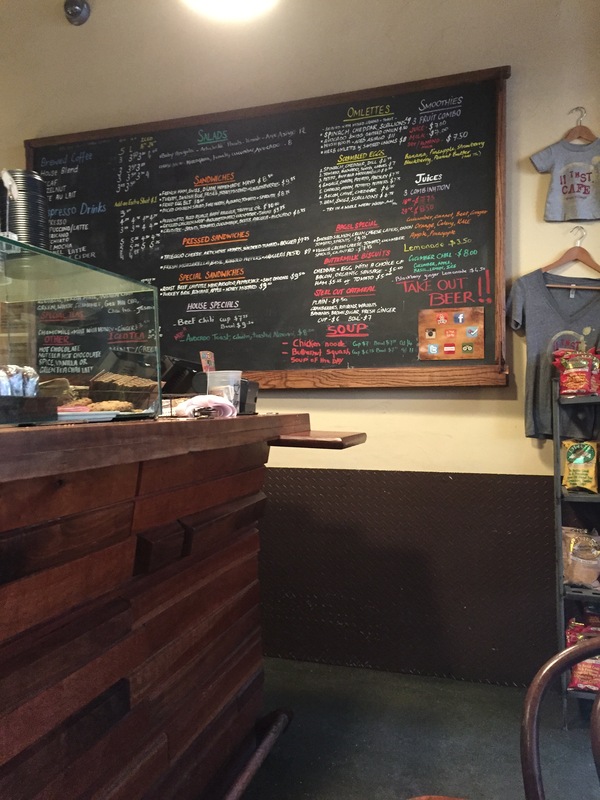 If you’re looking for quality espresso and baked goods, Culture Espresso is a great place to find it. 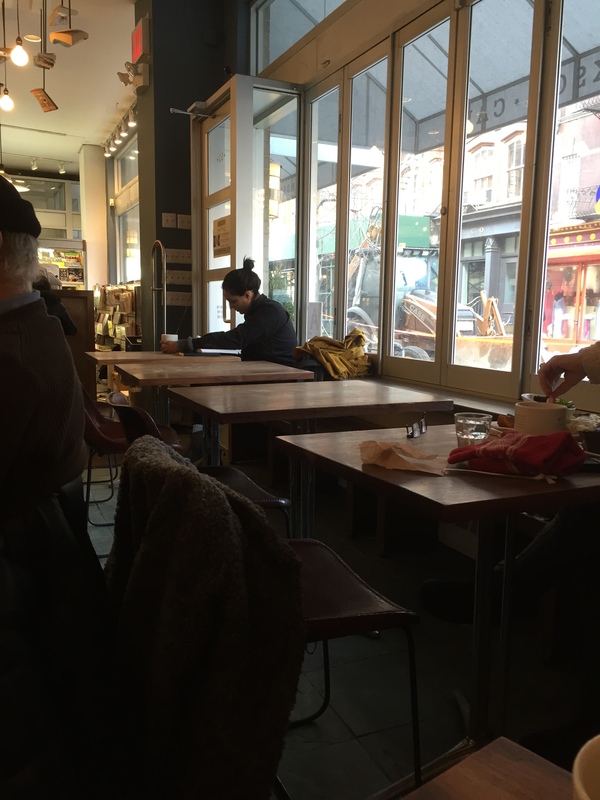 The seating is a little limited with three small tables, a few window seats and one communal table in the middle, but if you go in the late afternoon you can sit and chat for several hours! Matcha is a finely powdered Japanese green tea. 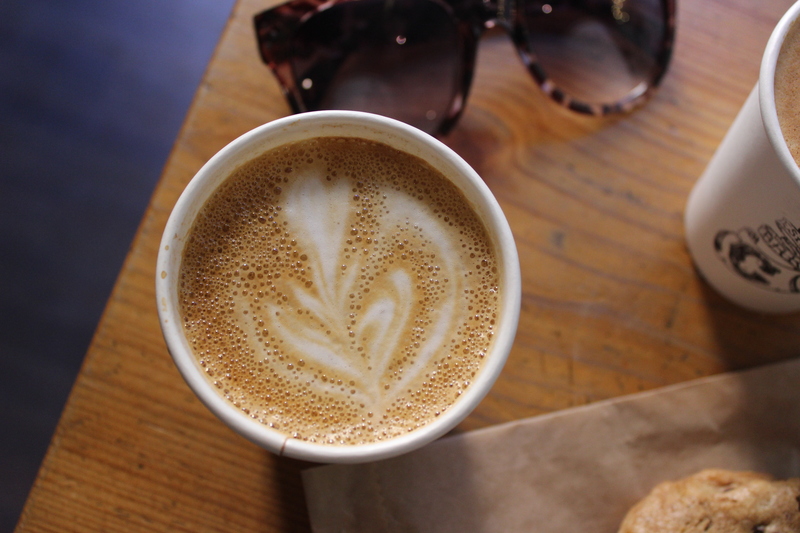 It has become all the rage for being a “healthier” alternative to getting your caffeine fix. We wanted to try matcha for ourselves so we headed to MatchaBar in Williamsburg. Cailin got the matcha chai latte and I got the regular matcha latte. The matcha flavor is very distinctive and to me tastes similar to green tea ice cream. We also loved the inside décor which was fresh and trendy. Although it is a small space, there is a larger round table in the back and plenty of barstool seating. 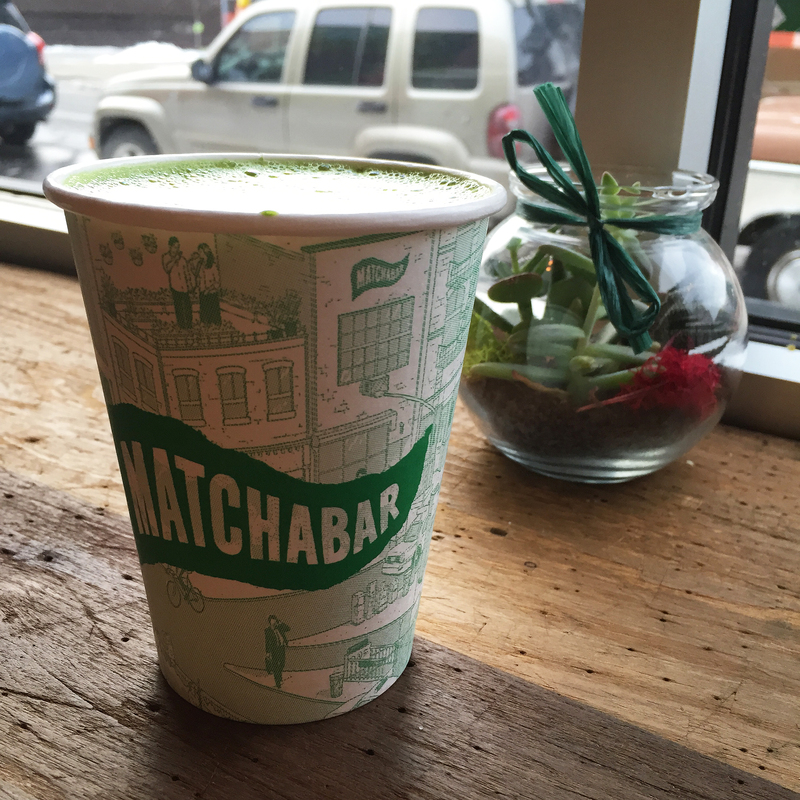 If you are looking to try matcha, MatchaBar is definitely the place to do it! Another café review coming your way! 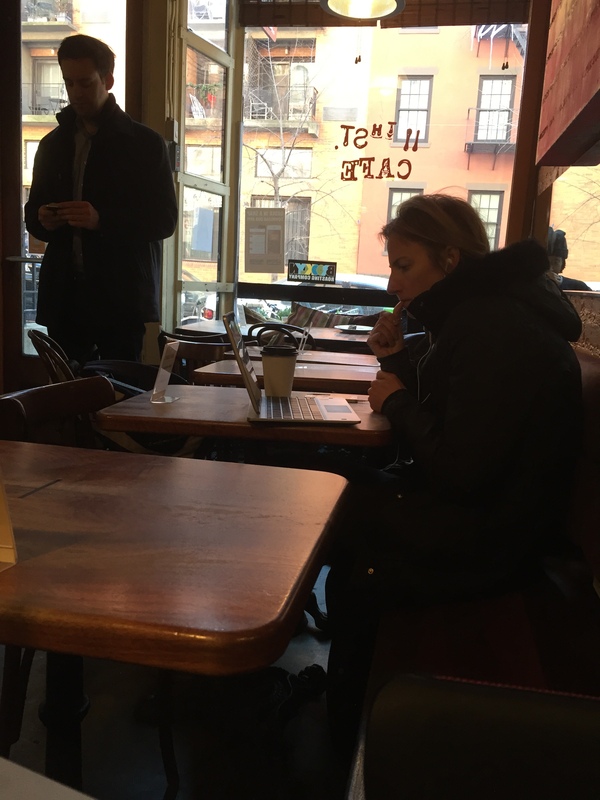 For the past week I’ve been working from cafés and I always find it kind of difficult to find a café in Manhattan that I can set up in for the day. 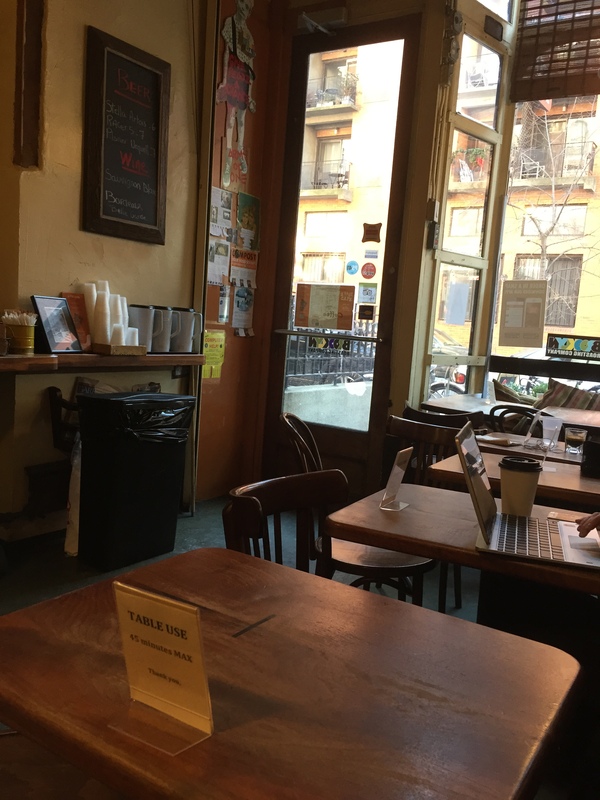 A lot of NYC cafés and bookstores are pretty small and some even have table time limits, which doesn’t work if you want to spend at least 3 hours diligently working in one space. 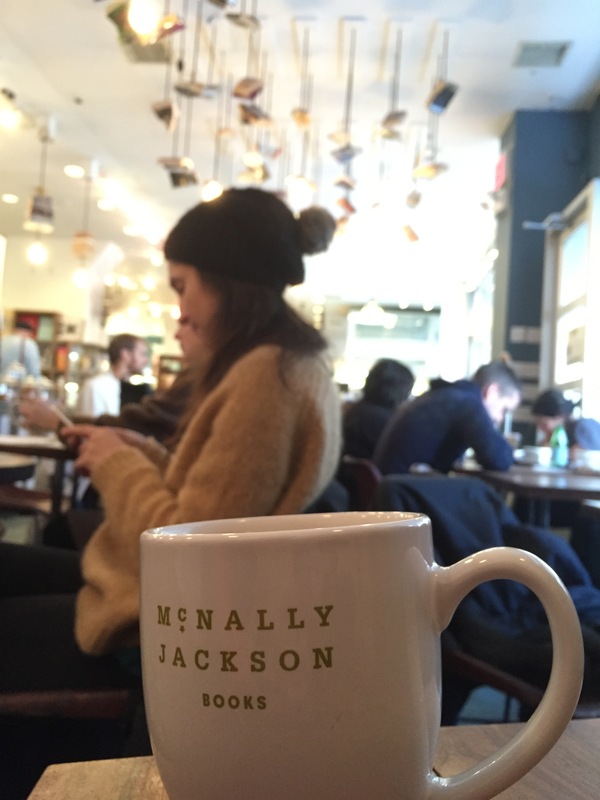 After filtering through several yelp reviews and asking people for recommendations I ended up at McNally Jackson one day and 11th St. Cafe the next. I had no idea where I was going to go to work the next day, so I ended up just heading downtown. 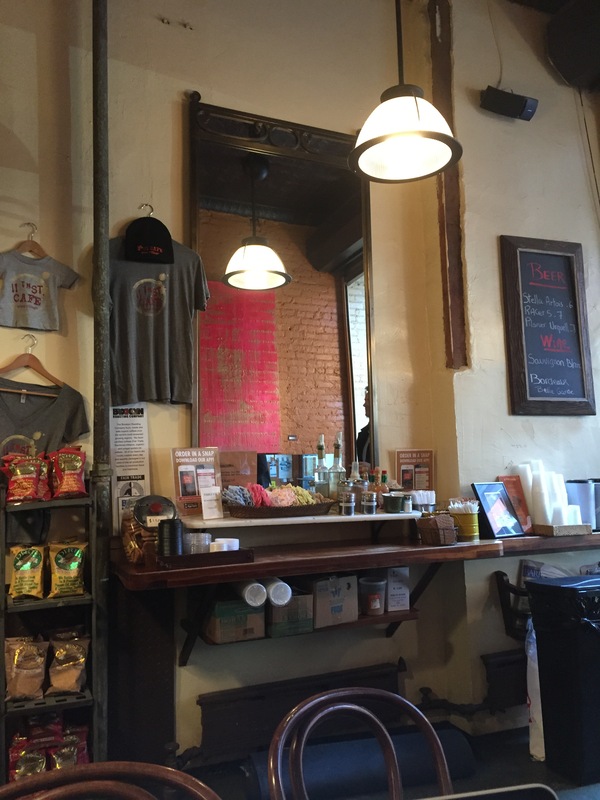 I found myself at the 11th St. Cafe in the West Village. 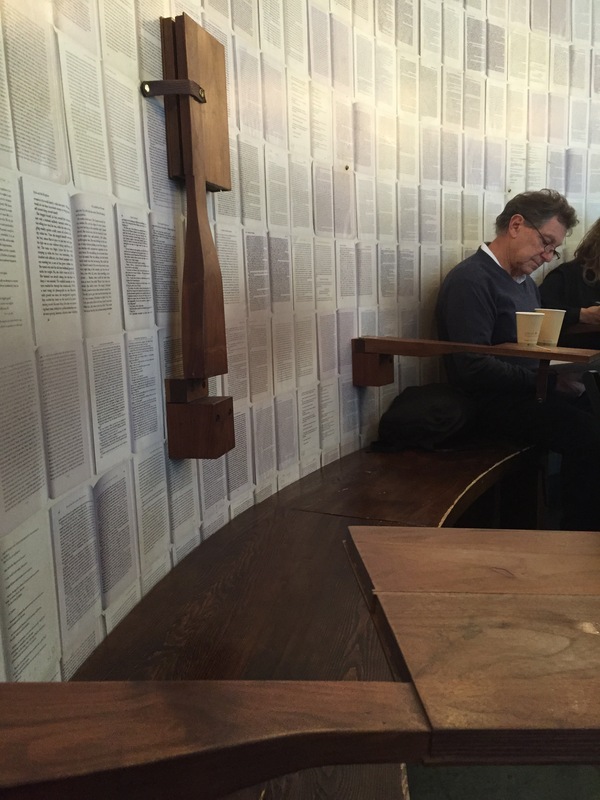 It is also small, but has a large menu that includes both food and drinks. You won’t go hungry working here! They had maybe 6 tables for two that are placed tightly together, but they had wifi and plenty of outlets right against the seats. It wasn’t too crowded when I went, so I don’t think they were enforcing the 45 minute table limit, but during a rush time keep the time limit in mind. It is also on a pretty quiet street during the day, so if you’re anything like me and get distracted by people watching try this place!